Join Babe Crafted, Bake'n Babes, & Kōfe_Tampa for a Galentine’s Day breakfast on Tuesday, February 12 from 9 to 11 a.m. for breakfast with the babes! 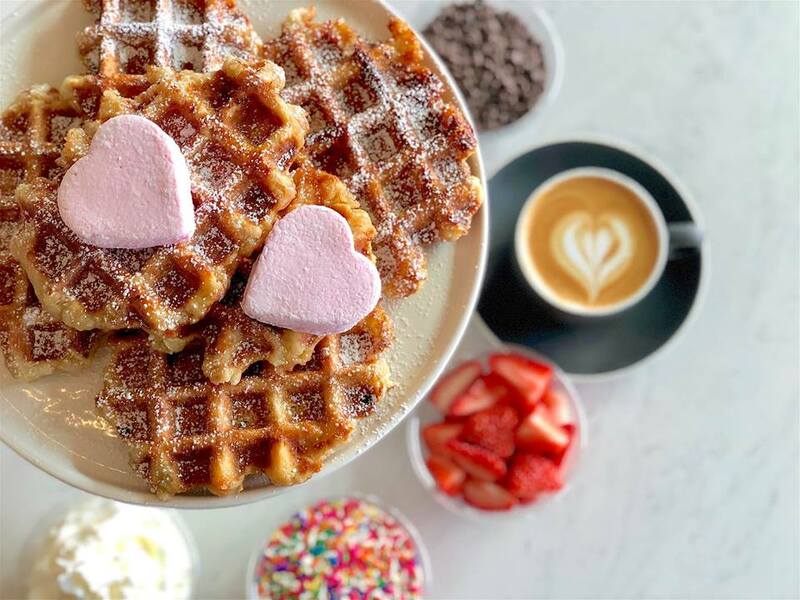 Create-your-own Belgian waffle with loads of tasty toppings, sip on a latte, & hang with local ladies who are building the businesses of their dreams. The DIY waffle bar includes Nutella, powdered sugar, sprinkles, marshmallows, fruit, & more. We’ll also have a panel of women entrepreneurs in Tampa Bay's food & bev scene like Bake’n Babes’ Julie Curry, Rosana Rivera of Xilo Street Mexican, Taylor Prater of Made Coffee, Tonya Donati of Mother Kombucha, Liz Anthony of Liz Anthony Nutrition, & more. The panel will be all about what it means to be a woman in business in 2019, how to foster community, & staying true to yourself. Our panel moderator is Christal Kotchman-Giardina of Toast On The Town / CKG & Associates. Admission also includes a glitter crown (all Queens need a crown!) and entrance into a raffle where you’re entered to win a bundle of local goodies like a Babe Crafted tote bag, cold brew by Made Coffee, swag by Mother Kombucha, and tasty treats by Liz Anthony Nutrition. Tickets are $30 and we ask that you snag yours in advance! This is a community event & is open to all women (and cool dudes) in Tampa Bay. 10% of proceeds will benefit The Centre for Girls - Tampa, FL! Thank you so being a part of our community and for helping to improve the lives of girls. Shoutout to Kenia of The Backdrop Boutique for creating a beautiful balloon & paper flower backdrop for our panel! Note: No business cards, please. We want to inspire you to connect with ladies with intention, so follow one another on Instagram, exchange digits, or shoot a quick email to connect in the near future to collaborate, grab happy hour, etc.